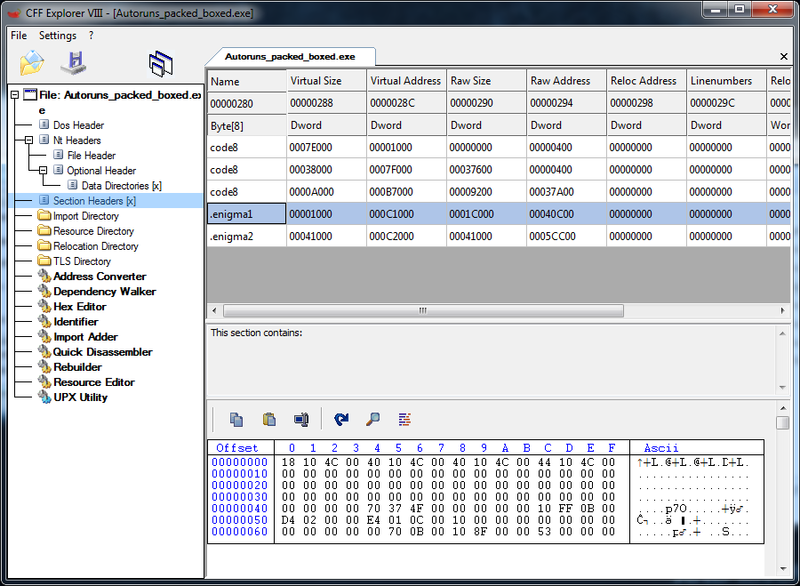 This essay is about protecting .exe files against reverse engineering and making it harder for crackers to unpack and crack our .exe files. We are going to use free tools for this purpose but this time we use them in a tricky way. 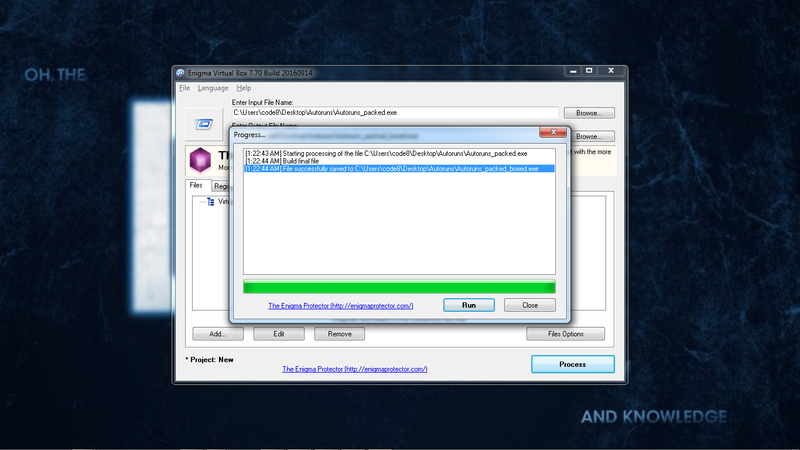 To be honest, I must say that if someone claims that my program is protected in a way that no one can crack it, he is completely wrong. 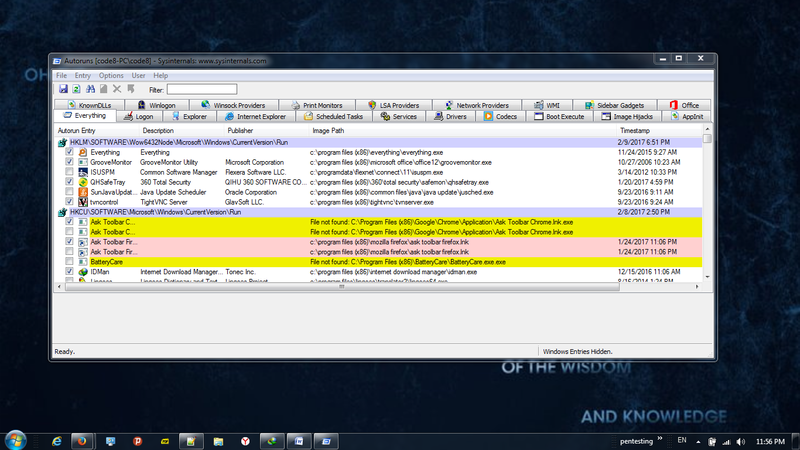 Each program that can be run in an operating system can be cracked by some means. So, all we can do is to make it harder for crackers and reverse engineers to decompile our program. 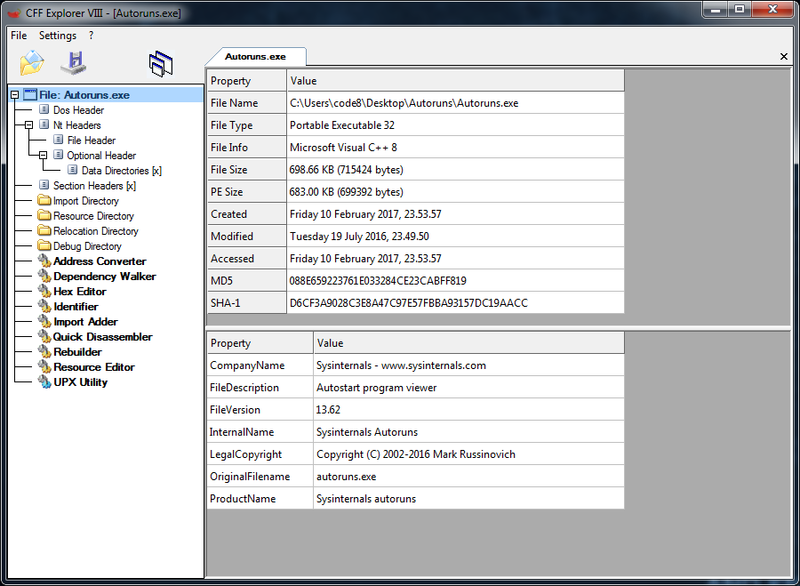 I am going to use a sample .exe called Autoruns from Microsoft. 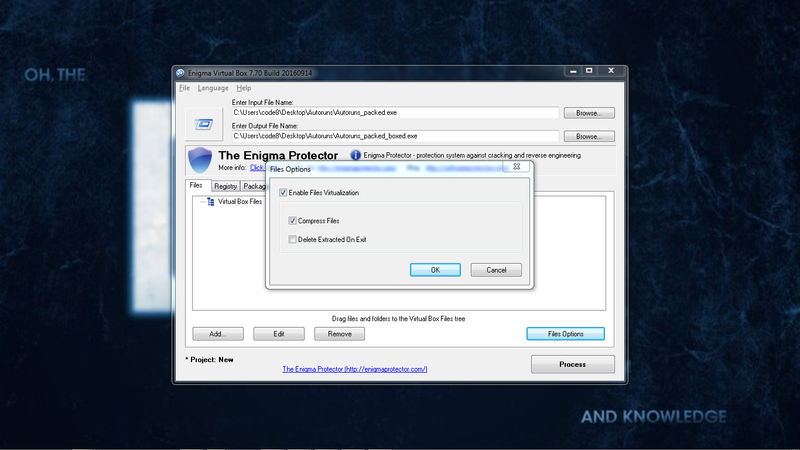 The Enigma Virtual Box from enigmaprotector.com which is a freeware used for file system virtualization and allows you to consolidate all files used by your application into a single executable file without having to extract virtual files to the disk. 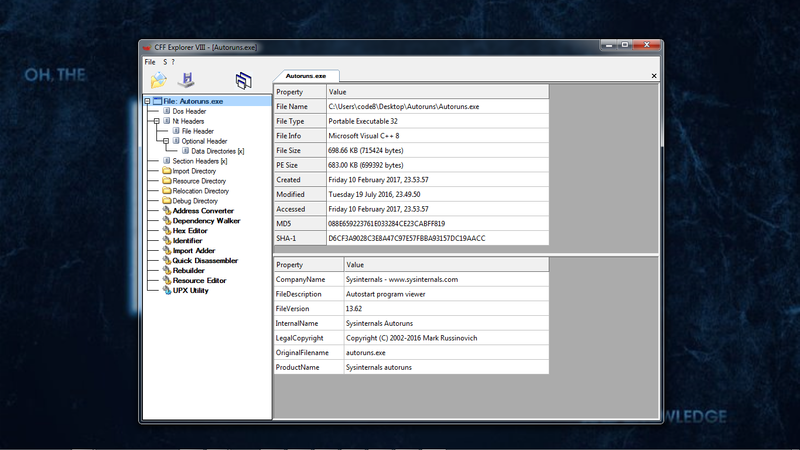 It packs the files too. 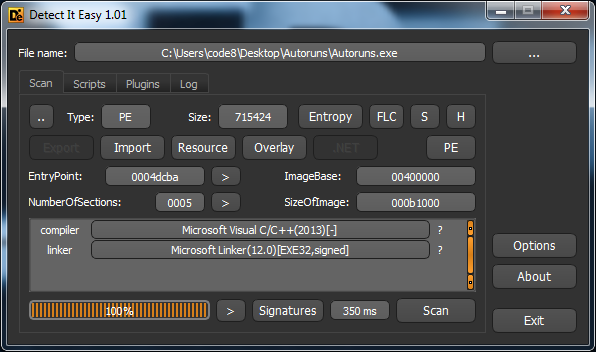 Open Autoruns.exe file in cff explorer. 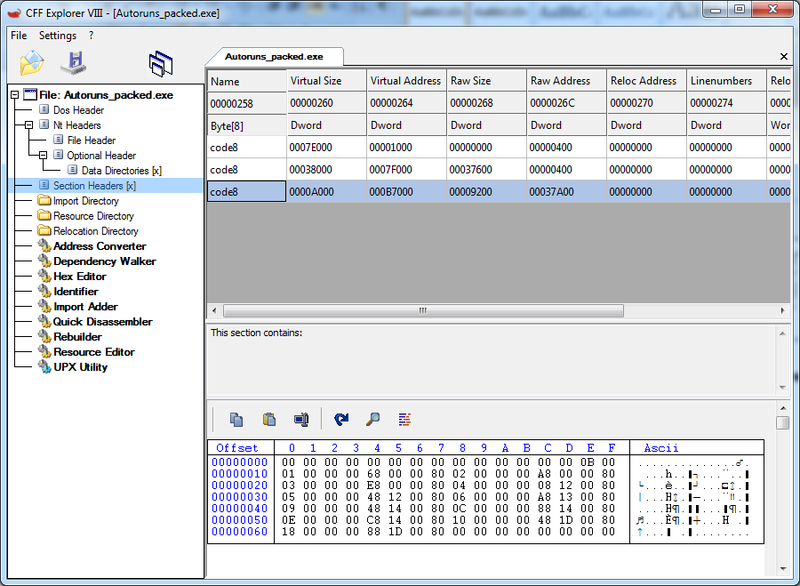 We want to pack our .exe file with UPX packer but modify it manually in some ways in order to defeat unpacking it simply with UPX –d switch or any automated UPX unpacker. 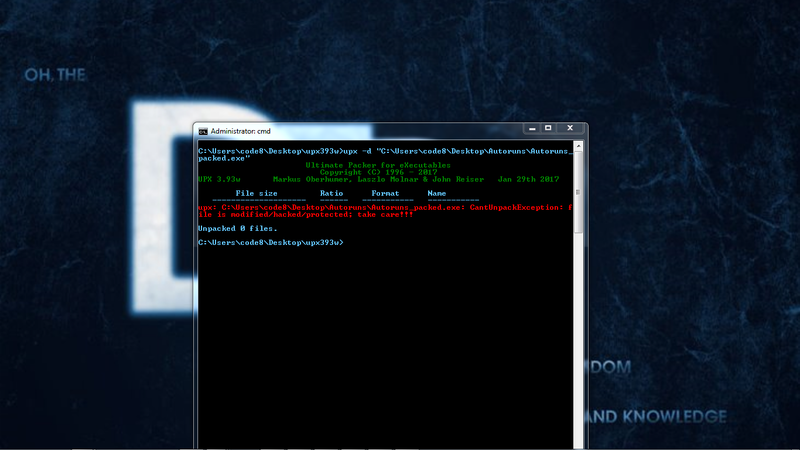 Now click on UPX Utility and we have this. 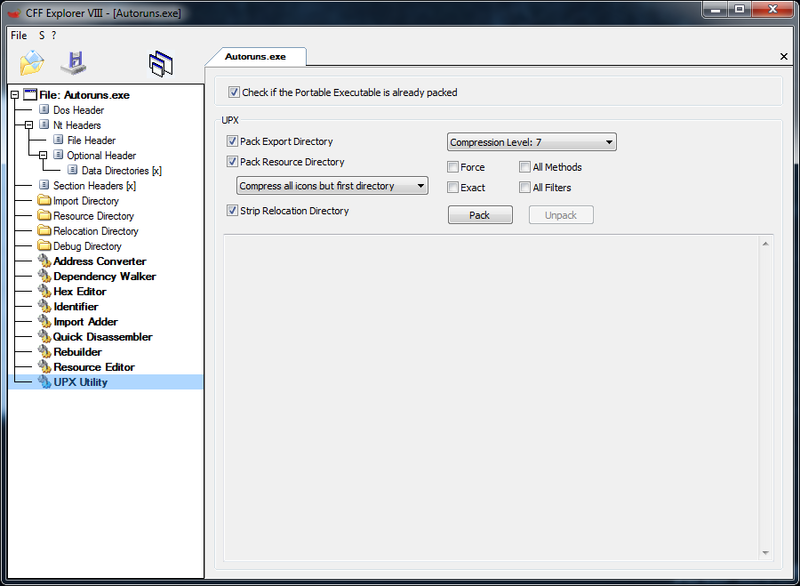 Simply click on Pack button at right pane. And go to the file menu and click on Save as. 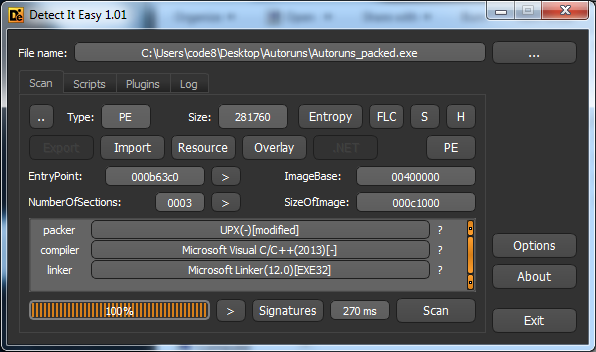 Now open the new packed file (Autoruns_packed.exe) in CFF Explorer again, and this time click on Section Headers. We have new sections in our PE Header and it says that we used UPX. 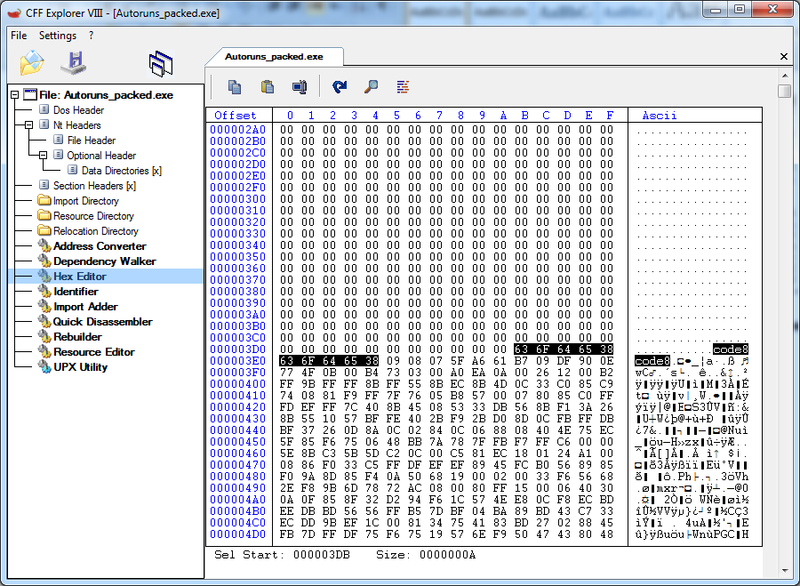 Open Autoruns_packed.exe in DIE (Detect it easy ) and we see that it detects the packer as UPX. 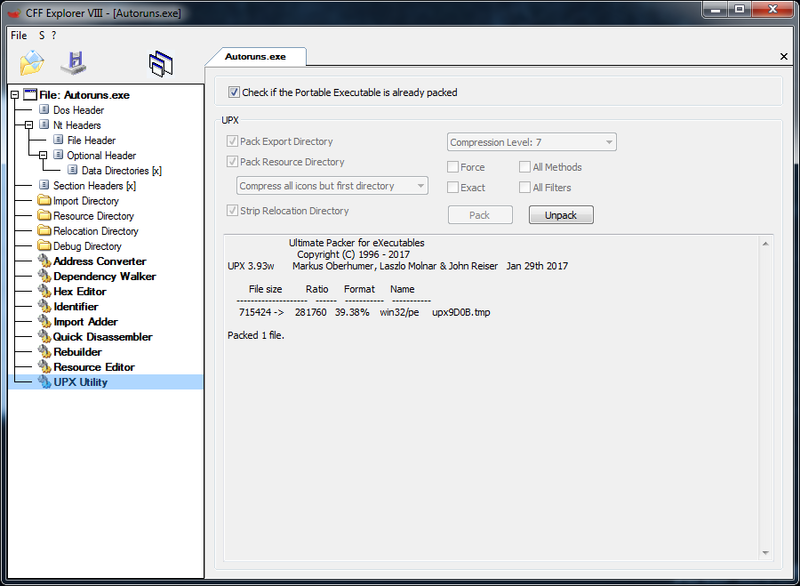 Your UPX version may be different than mine, as I have substituted the new version of UPX.exe v3.93 in the “C:Program FilesNTCoreExplorer SuiteExtensionsCFF ExplorerUPX Utility” and updated my upx.exe in CFF Explorer. 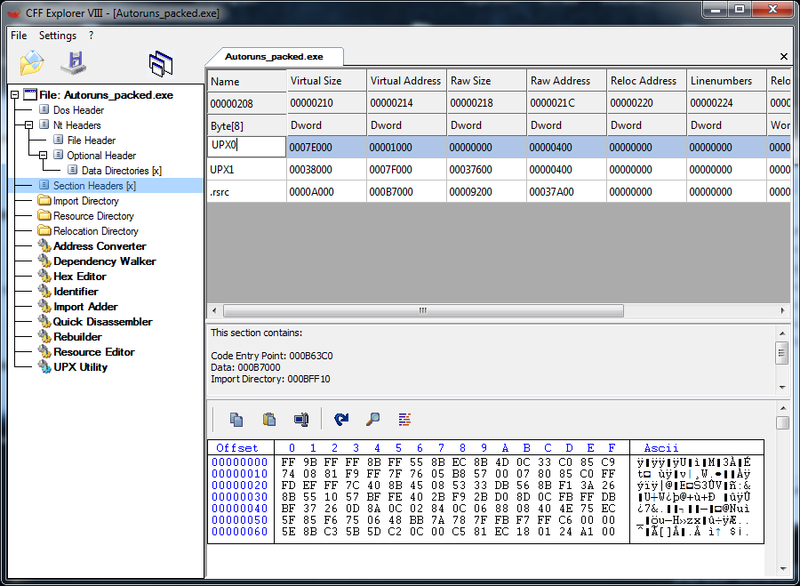 If we check our Autoruns_packed.exe in ExeInfoPE we get this. 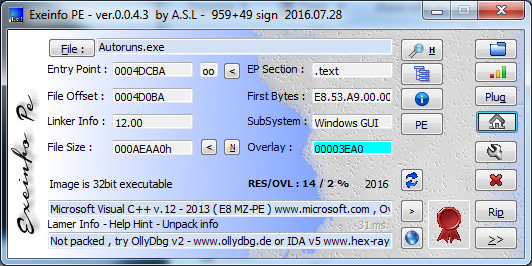 And again it says that our .exe is packed with UPX ver 3.93. 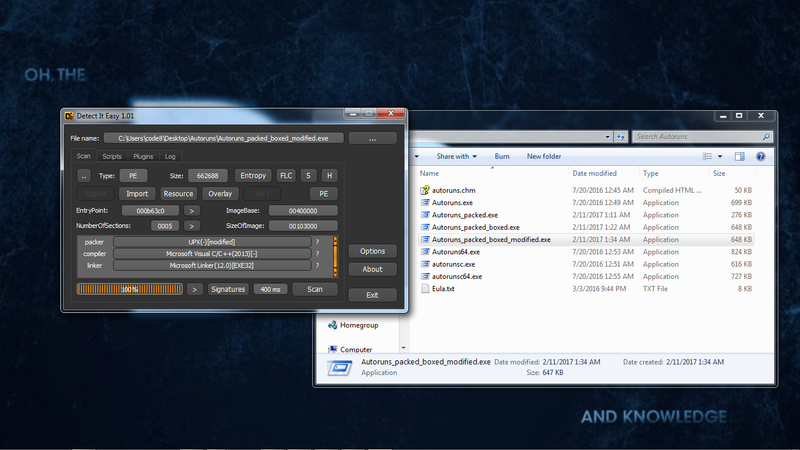 Now click File menu and save and confirm to save. This one also says it is a modified version. 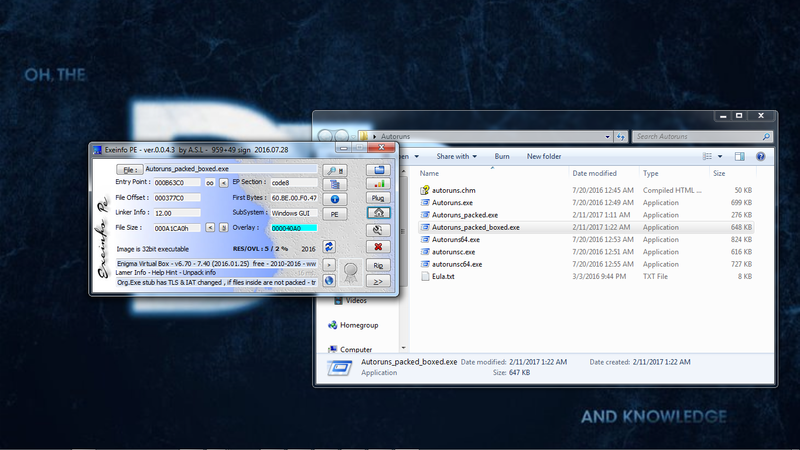 Now let’s check it to see if we can unpack it with UPX. Congratulations! 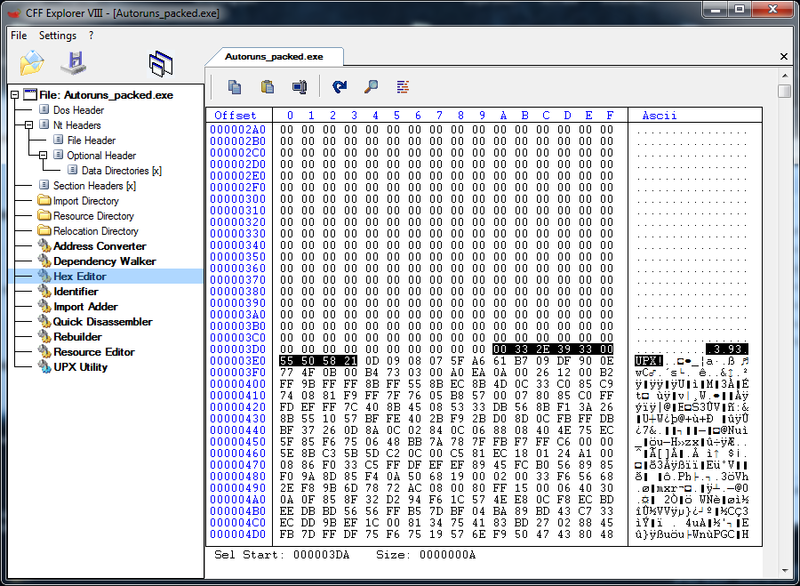 You have just passed level 2 protection of your EXE.Let us check to see what is detected by our packer detectors? 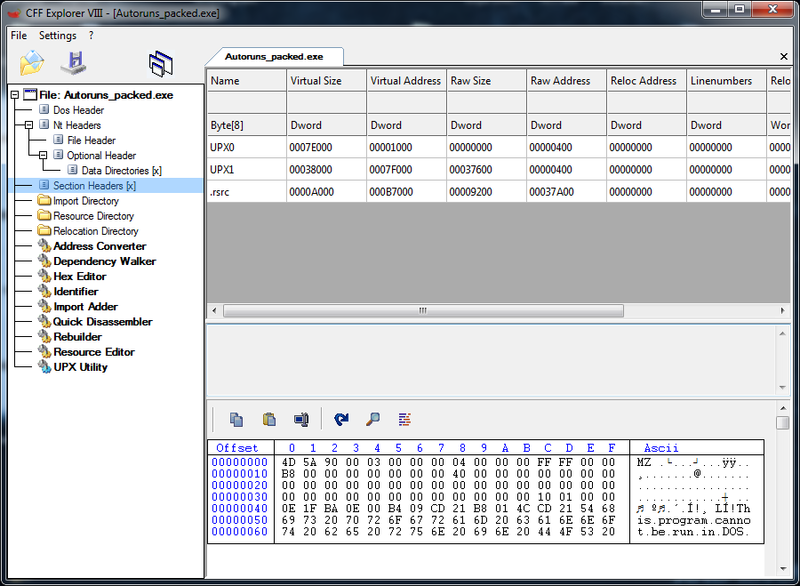 Enigma is detected but there is not ant footprint of UPX. So let us change the sections. 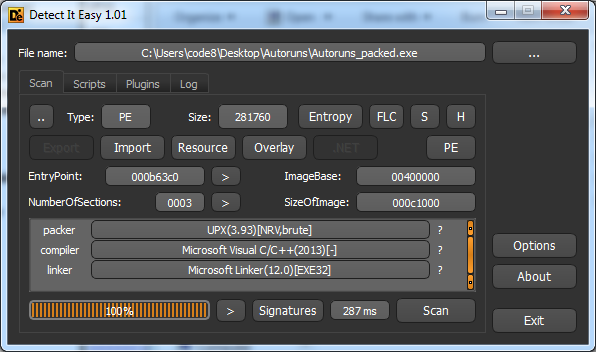 Open our new Autoruns_packed_boxed.exe in CFF Explorer . 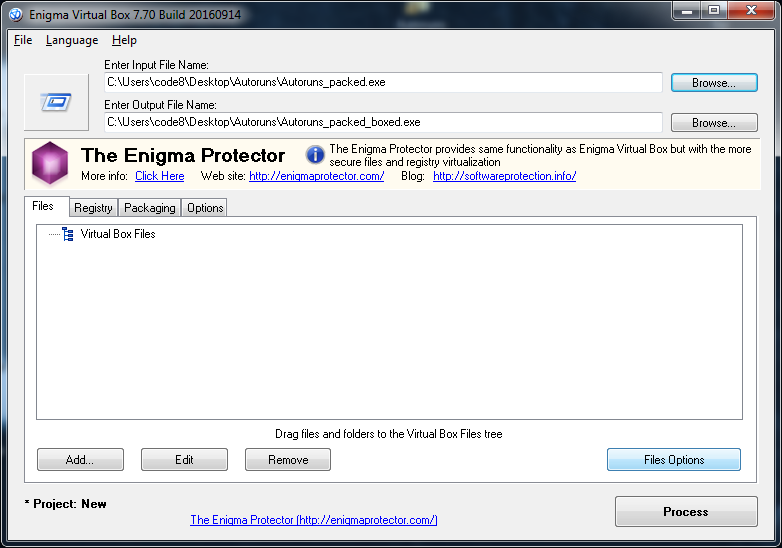 Now we have two extra sections called an enigma. Let us change it to code8 and see what happens again. Ohhh! Enigma has gone and now we have just a UPX modified version. That is excellent as we have a hidden layer of protection that is very hard to guess or find. 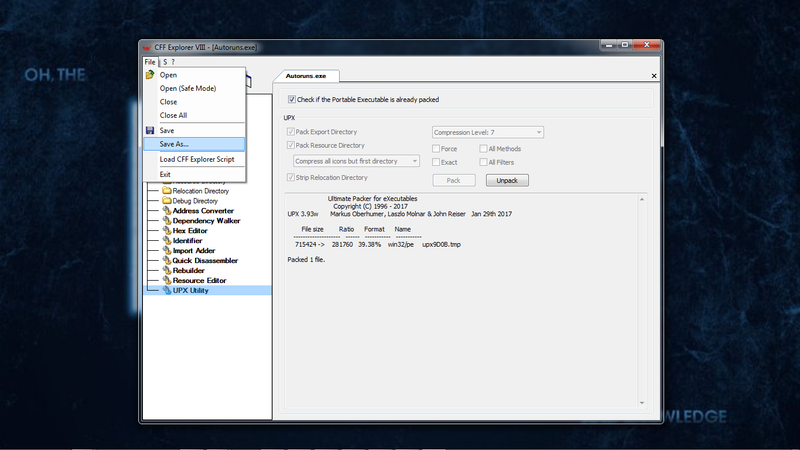 The program works perfectly! 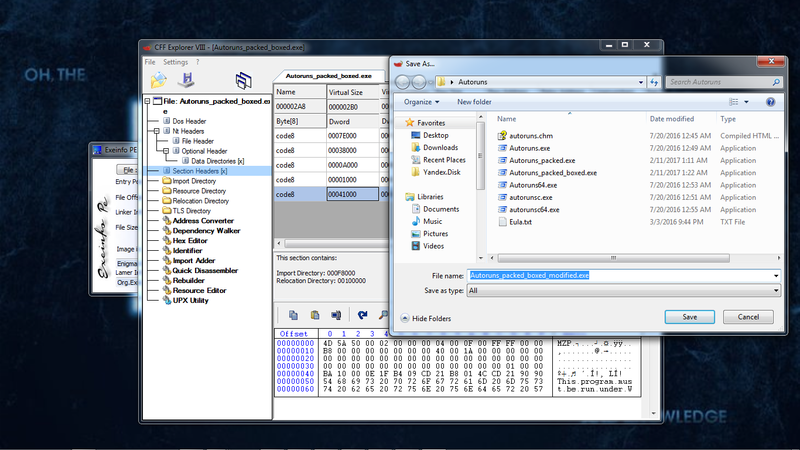 😉 And this method can be used in 99% of software and exe files. You are genius, thank you for this article. Thanks for this extremely useful info!